Although the seven basic scales were described separately in the previous section, the Flash animation showing the scale structure suggested that there is a very tight and logical connection between them. In this section I will give more details on the basic scales so you can have real quality knowledge on them. As we all know, classical music gives the major-minor modal system a particular role, taking it as the default modal system. This alone should not be an issue as the major composers, such as Mozart, Bach, Mahler etc., were actually able to create musical thoughts of the highest quality out of these two musical modes. The so-called classical music theory however has not become a logically-structured methodology, staying partially a bunch of, very often inconsistent, musical customs. I have pointed out this issue and its potential resolution several times, with one of them found in 'New definitions and recommendations to guitar teaching' section. The importance of learning and knowing not only the major-minor musical modes but the five additional modes is one of fundamental elements in Pénzes Methodology. Even though the classical music theory was created on and initially intended for piano, guitarists, thanks to my approach, can also successfully apply it, what's more exceed its limits. However, guitar-oriented music theory includes a lot of other approaches. The next step in learning the music theory is illustrating all the basic scales on a chart called circle of fifths. If our tonal system was not equal-tempered, i.e. balanced in a way that an octave is split into twelve equal intervals, the circle of fifths would look like the one below. In the equal-tempered tonal system, which we currently use, the circle of fifths looks like the figure below. This is much more logical and comprehensible than the previous circle. In classical music theory only 24 tonalities, that is 12 majors and 12 minors are involved. But let's be frank - it is enough for us? I hardly think so. 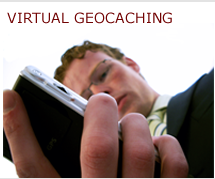 We want the five remaining basic scales, which makes a sum of 84 basic scale variations, i.e. 7 basic scales for each half note, altogether. Basically, this section gives you a great overview of what to know about the guitar theory-wise and technique-wise. I certainly suggest you first comprehend the correlation between the basic scales, then practice the scales on the guitar, first one by one, then all the scales bound together; I call the latter 'complete scale practice'. 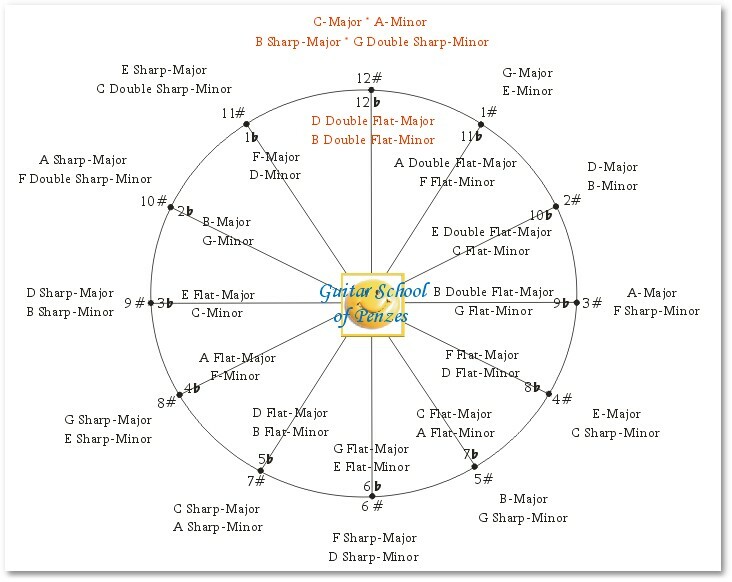 Although the figures below show the E-Major scale complete structure and each parallel basic scale, it does not mean that E-Major is of particular importance when compared to other scales, since each scale is just as important as another. Where applicable, I will describe the open-string scales, which are played on one string, typically on E6, and involve open strings. You can also make six so-called one-string scales out of the seven basic scales, one on each string. The one-string scales can be typically used to connect different scales together. When describing the basic scales, I use the enharmonic note names derived from the circle of fifths. For example, the notes of a basic scale structure in C Minor will be flattened by 4 flats, i.e. B flat, E flat, A flat and D flat; and not sharpened by 9 sharps. If you have a comprehensive knowledge on the basic scales below and see the system behind, you'll be likely to be able to apply them to the guitar, which gives you the potential to be a master of this instrument. However, potential knowledge only shows that you have the capacity to master your skills by practicing. The confident knowledge of the basic scale system is crucial for everyone who wants to have in-depth guitar knowledge. Not being aware of this system could only make you a guitar dude who knows things but lacks the penetrated and organized knowledge, thus stays on a low level. That's something anyone who claims to be a guitar pro must entirely be familiar with. You can easily learn if your guitar teacher has this comprehensive knowledge; ask them a question, for instance 'Which basic scale structure does, say, the C Phrygian scale fit in?'. If they fail to give you a satisfactory answer on this, they certainly lack the global overview on the system. However perfectly they play Iron Maiden or Jimi Hendrix solos, it's worth knowing that the basic scales are the fundaments of these solos and not the other way around. There are four types of the so called minor scales, out of which the first and most straightforward one, the parallel mode of a major scale, you have probably come across with. It is also called the natural minor. The structure of this scale fully matches to the six other basic scales. The other three minor scales are the harmonic minor, the melodic minor and the so called Gipsy, sometimes also referred to as Hungarian, minor scale. They encompass altered, raised or flatted, notes compared to the natural minor scale, which results in scale structures completely new to your ears. The composers of the Classical and Romantic Era demonstrated in their masterpieces that virtually any note can be incorporated in a minor scale, either making it an altered however still minor mode or shifting it to an atonal scale structure. Let's start exploring the minor scales! 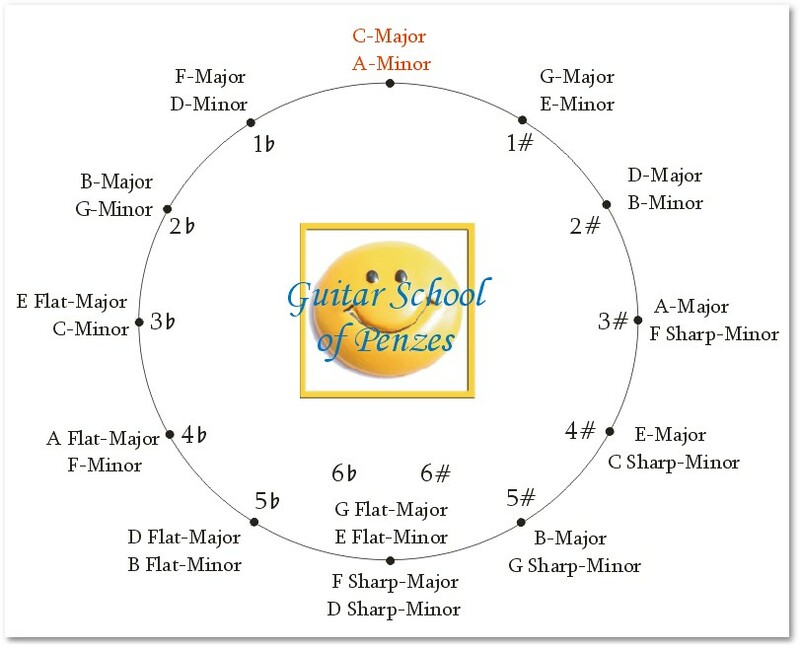 First I will plot the complete structure of each minor scales, then you can start with the first scale degree from the A note, using the trichord scale structure, as the below figure shows. Scale structure plotted by OSIRE. www.music-instrument-guitar.com - Basic scales II.